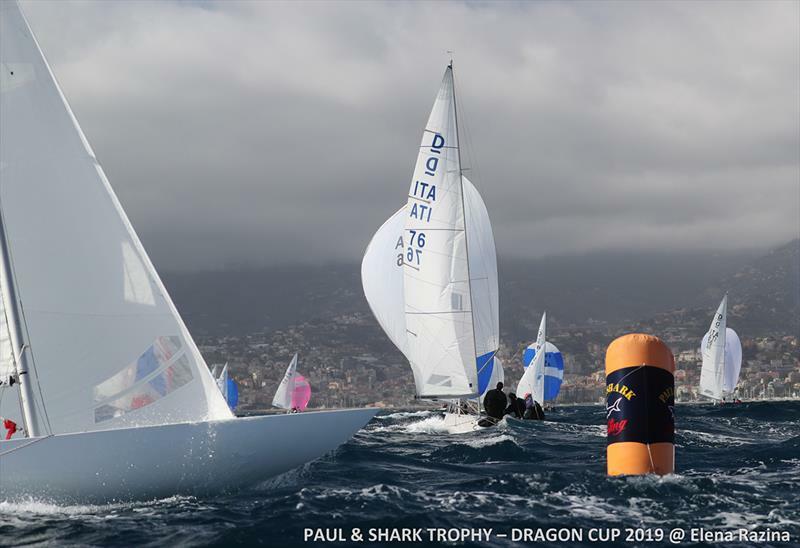 Similarly to what happened on Day 2, on Day 3, a good dose of patience was needed to get the racing started at the Paul & Shark Trophy – International Dragon Cup organised by Italys Yacht Club Sanremo. The Race Committee and the competitors had to wait for the wind to settle but the decision was rewarded by two good, hard-contested races. The first one was sailed in a choppy sea and with a 13/15 knots strong easterly air that progressively decreased to some ten knots, the second race was shortened because of the shifty and dropping wind. 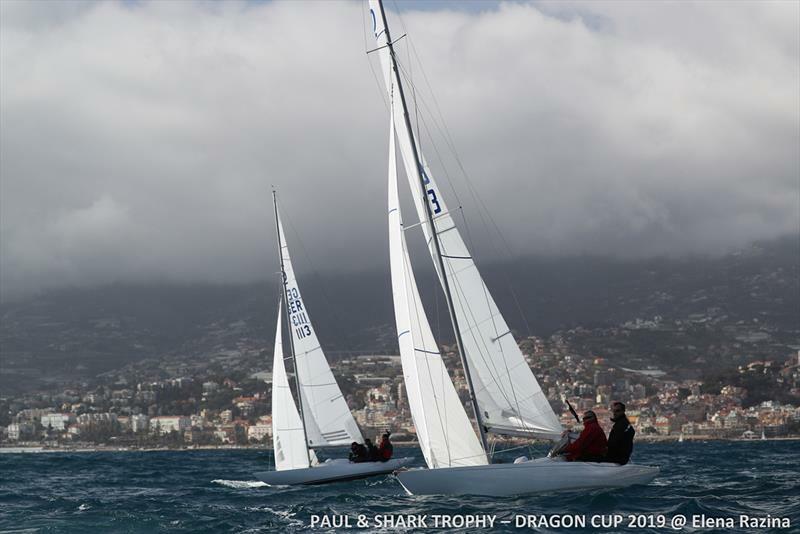 No matter the conditions, the sun shone once again on Bunker Prince, the team led by Olympic 470 champion Yevgenii Braslavets and flying the colours of local Yacht Club Sanremo, scoring a double bullet that further consolidated its position at the top of the scoreboard. But behind the battle between Ivan Bradbury s Blue Haze and Russias Annapurna skippered by Anatoly Loginov, was as intense as ever. Both teams got a second place and a U Flag Disqualification for starting over the line and are therefore tied at points in second. I like racing in Sanremo, I won the Europeans here some years ago so I feel almost like being in my home waters. Today the conditions were tricky in the morning, the racing maybe started a little bit too early but in the end it was good, typical Sanremo day. We did a bad job and a good job because the first start was an early one, but in the second race we were second. Then we were lucky because some of our strongest competitors got an early start themselves. Explained Danish expert Lars Hendriksen, from Blue Haze. Bunker Prince has ran away, we cannot catch them anymore, they should get two DSQs tomorrow theyre gone. So its all about the boats from two to five, that are still in the fight for the podium. 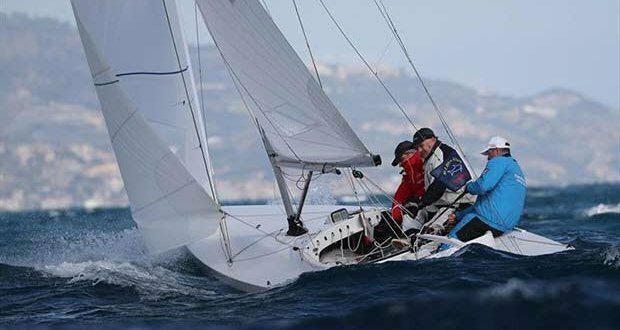 Commented Hendriksen on the results before the closing and key day of racing in Sanremo. In fourth position is still the young crew from Sophie Racing with Swiss helmsman Hugo Stenberg, whilst in fifth is German skipper Nicola Friesens Khaleesi, and both teams could still grab a last minute spot on the podium. Full results after five races available here.